This was a single serial I/O port board for the Altair. The board was designed around a SMC 2502 UART chip. Baud rate and address selection was selected by jumper wires on the board. There were 3 variations of the board. The "88-SIO A" had standard RS-232 signal levels, the "88-SIO B" and "88-SIO C" had TTL level inputs slightly different (see manual below). The board was often used in those early days with Teletype Corporation's ASR33 "Teletype". Later versions of the ASR33 had an RS-232 hookup option but earlier machines relied on a 20mA current loop connection. See here for some issues using the latter. The manual for this board (with code examples in octal!) can be obtained here. 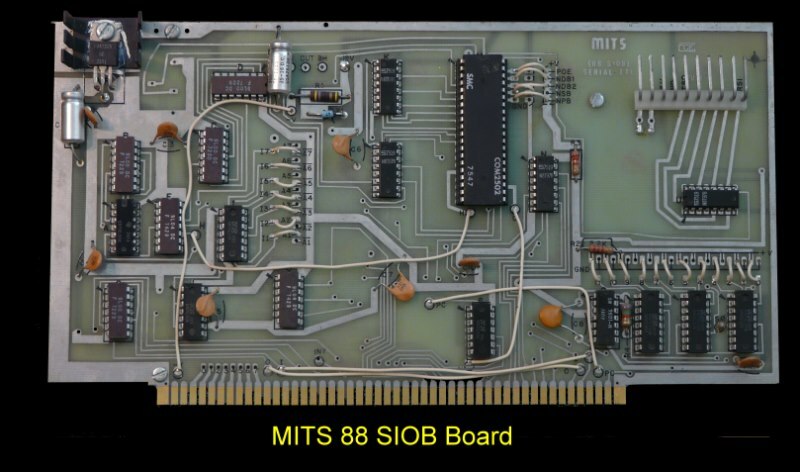 Often this board was used with a "modem" board that MITS supplied to read and write data to a cassette. 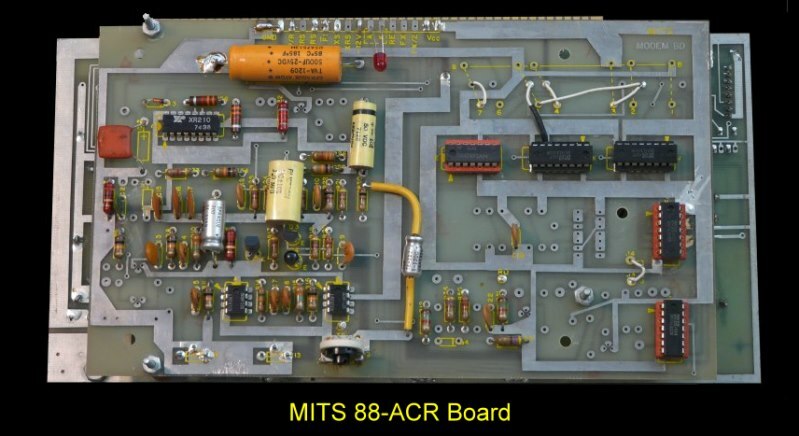 This was called the MITS 88-ACR Board. The board was often piggybacked on to the back of the SIO board as shown above. The manual describing this setup can be found here.